Jadyn B's Barrel Duffel Bag provides active lifestyles with exceptional durability and functionality while maintaining a feminine edge of beauty and style. The handles drop 13", allowing most women to carry the duffel on their shoulders. However, an adjustable shoulder strap is included for added support. The bag features a zip-enclosed inner pocket for toiletries and other essentials, and the front of the bag features an open, quick-access pocket for anything needed on the go. 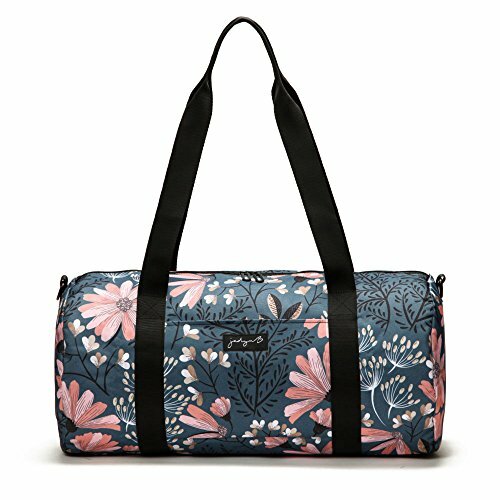 It is the perfect overnight travel bag, weekender bag or gym bag. Weight: 1 lb 2 oz. Dimensions: 19" x 10" x 10". If you have any questions about this product by Jadyn B, contact us by completing and submitting the form below. If you are looking for a specif part number, please include it with your message.